Having started dj'ing aged 12, Mark has worked hard to become one of the best Party & Event DJ's around.He covers most aspects of popular music and has constantly been in demand both in the UK and abroad, and so far in his career has played for over 1.5 million happy people ! He has dj’d around 2500 club nights, and 2000 private events, and is the preferred supplier at a wide range of venues all over the UK, including The Hurlingham Club in London, Edgbaston Stadium in Birmingham, and Inveraray Castle in Scotland. With a background as a musician as well as fulltime DJ, Mark has a passion for all aspects of music, and can fulfill clients expectations, whatever the event, wherever it is, whatever type of music is required. He is more than happy to take requests from the dancefloor, or work with a client to compile a playlist prior to an event. Mark plays at a wide range of Private and Corporate events and Award Ceremonies both here and abroad, alongside bands such as Girls Aloud, Scouting For Girls, The Feeling, The Sugarbabes, Lulu, D;Ream, Will Young, Hot Chocolate, The Counterfeit Stones, Razorlight and the Bootleg Beatles to name just a few. He has also worked with celebrities such as Suggs, Rory Bremner, Richard Hammond, Nigella Lawson, Jeremy Clarkson, Jack Dee, Dara O’Briain, Alec Stewart, Omid Djalili, Jason Cundy, Dara O’Briain, Graham Norton, Gary Lineker, Joanna Lumley, Jonathan Ross, Sir Steve Redgrave, and Radio 1 dj Greg James. He has also worked at Cafe Royale, The Hurlingham Club, Ministry Of Sound, Alexandra Palace, Royal Albert Hall, The Lanesborough, RMA Sandhurst, Eltham Palace, The Banqueting House, Oxo Tower, Natural History Museum, Savoy Hotel, HAC, All England Tennis Club – Wimbledon, Chelsea FC, The Park Lane Hotel, The Grosvenor House Hotel, The Hilton - Park Lane, Vinopolis, Brighton Pier, The Bluebird, Madame Tussauds , The Brooklands Hotel Apsley House, The Roundhouse, The Saatchi Gallery, Grays Inn, The Royal School Of Medicine, The Edinburgh International Conference Centre, Inveraray Castle, The Royal Courts Of Justice, Alton Towers and Lords Cricket Ground. Abroad, Mark has done a season at The Dracula Ghost Riders Club, St.Moritz – one of the most exclusive nightclubs in the world. 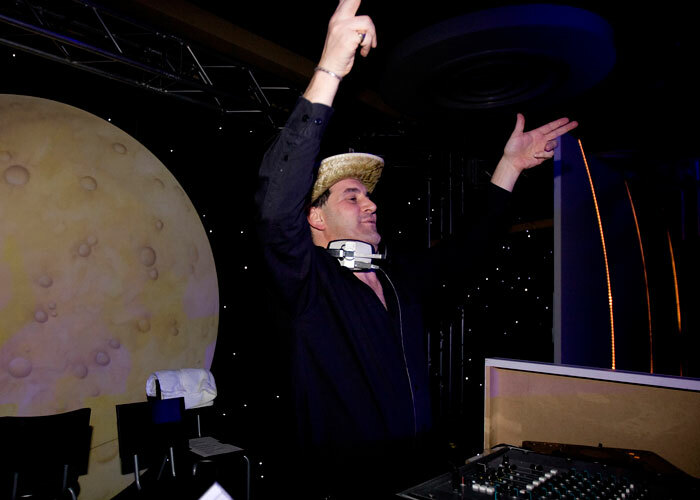 He has also played at the Mercier Champagne caves in Epernay France, and has dj’d for the World Superyacht Awards in Venice, he has also played for events in Athens, Monte-Carlo, St.Tropez, on the beach in front of the world famous Carlton Hotel in Cannes, Lisbon, Stockholm, Barcelona, and on the beach at the Romazzino Hotel on the Costa Smerelda, Sardinia for a superyacht regatta, as well as ski resorts in Italy, Austria, France and Switzerland. Clients include BBC, ITV, Channel 4, Reuters, Goldman-Sachs, Citibank, HSBC, Chelsea FC, Crystal Palace FC, Paramount Pictures, UNICEF, Christies Auctioneers, Maserati, Cancer Research Fund, Savilles, BP, British Gas, The Lawn Tennis Association, E-Map, The Orient Express, Sky TV, Red Cross, L'Oreal, Moet & Chandon, Honda UK, LK Bennett, Scottish Life Investments, Centrica, BHP Billiton, The Professional Cricketers Association, Louis Vuitton, Nat West, General Motors, Crystal Holidays, The Royal Bank Of Scotland, News International, River Island, Unibet, Gumtree, LK Bennett, The Daily Telegraph, BHP Biliton, Boat International, and most of the leading event and conference organizers. Among the many festivals he has dj’d, the Connect Festival stands out where Mark’s mix of fun party music kept 45,000 people partying well into the night in the mud! Currently, he is as busy as ever playing at events all over the UK and Europe, and still has the same passion for music as he did when he started out. Thank you for a fabulous evening. Cant wait to book you again next year! The Costa Smeralda yacht owners and their families as well as other guests danced the night away last night at the infamous Beach Party, held in celebration of the Loro Piana Superyacht Regatta at the exclusive Hotel Romazzino. The social event followed another magnificent day of racing on the emerald waters of Sardinia. The mood was electric for guests of the Party, as they excitedly discussing sailing the action on the water from Fitzroy Race Day 2. 400 guests enjoyed Perrier Jouet champagne on the lawn enjoying the relief of a cool breeze, evening sunset and the breathtaking views overlooking Romazzino Bay. A sumptuous Sardinian dinner was followed by an enthusiastic celebration of the evening as many owners took immediately to the dance floor whilst others enjoyed a private tasting of the luxury cognac Louis XIII. 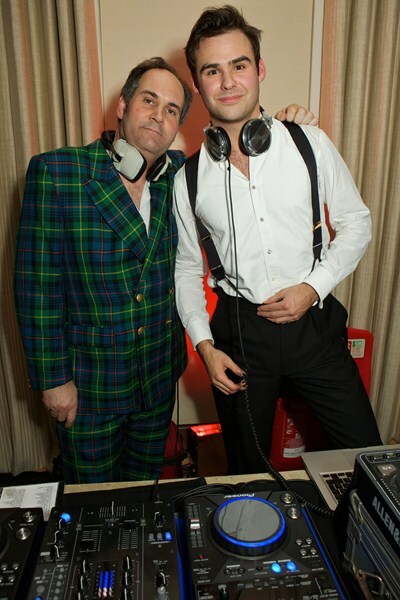 Mark Fellowes a London DJ spun out the music with a great selection of classic music hits. The music was selected to appeal to an international gathering of differently aged people, aged between 18 and 80. Guests left with sore feet and big smiles, yet keen to rest to be on form for today’s racing. Thank you very much, wonderful party. Wonderful party, thank you very much for inviting us. Andy has over 11 years of experience dj'ing at high society events all over the country, as well as regular club residencies in London, Oxford and Cambridge. Clients include; Henley Royal Regatta, Tatler, Guards Polo Club, The Hurlingham Club, and Chase Vodka. Clubs include Bodo Schloss, Embargo, Under The Bridge, Bunga Bunga, Boujis, and The Brixton Academy. He is especially adept at society events, such as 18th and 21st birthday parties, where he has wowed the crowds well into the night. Gentleman George has been DJing since the age of 15, having held residencies at Mahiki's, Kitts and Itchy Feet up North he now specialises in private parties and corporate events. 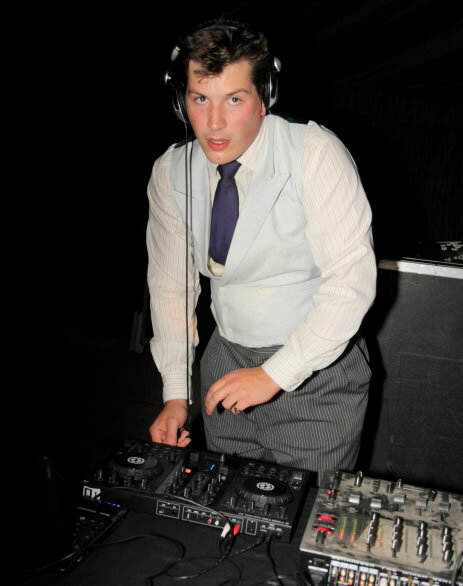 His DJing has taken him to Oxford and Cambridge May Week Balls, the Hurlingham Club, Weddings across the country, 21st in Berwick upon Tweed and playing to 1000 dodgeball players for Mencap's annual dodgeball tournament. Book in the safe knowlege that he can make anyone, anywhere dance. Since starting deejaying in the late eighties, Nick has worked for most of the travelling discotheque and party organising companies, as well as having residencies at The Dorchester Club and 151 to name but two. 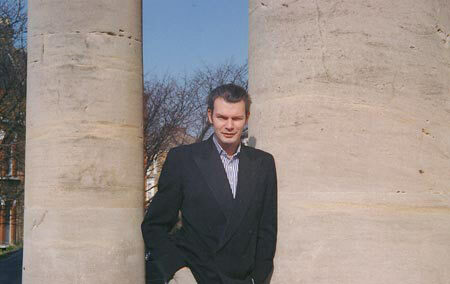 He has also worked at Legends, The Irish Club, The Polish Club,the Hurlingham Club and the Banqueting House, Whitehall. Clients include FPD Savilles, KMPG, Mail on Sunday and Planet 24. Nick continues to play great music at a large variety of events, such as birthday parties, weddings, corporate and charity balls, and recently he has played at The Royal Commonwealth Club, The Landmark Hotel, and The Park Lane Hotel. Nick played a great mix of music - funky, and well known blasts from the past". He was puntual, polite and professional, and I would highly recommend him. Nick was fantastic ! Nobody wanted him to leave ! He kept the dancefloor busy all night! Amazing! Just to say a huge Thank You for last night, especially since it was so last minute. You did a fantastic job. Those teens were unstoppable on the dancefloor! The client was extremely pleased with the selection of music, thanks to you for an excellent and efficient job. Thank you for providing such excellent music at Armoury House on Saturday night. The girls and their guests greatly enjoyed your contribution. Thank you once again for the great music. The evening was a great success, and your choice of music was excellent. I do hope we can work together again next year. Just a quick note to say thank you so much for recommending Mark Fellowes for the npower event. He was great to work with and the whole day was a huge success! I look forward to working with him in the future! Many thanks. Your disco was yet again fantastic, thank you for your continued support.